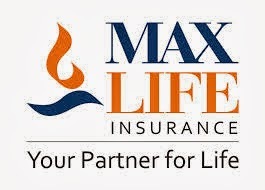 Private sector insurer Max Life Insurance has launched a term insurance plan, under which the beneficiaries will get part of the insurance amount in monthly instalments over a period of 10 years. In addition to the basic plan, the new online term insurance policy will provide an option to beneficiaries where for Rs. 10,100, they'll get Rs. 1 crore term insurance cover plus an income of Rs. 40,000 per month for a period of 10 years. In its third option, for a premium of Rs 11,100, the policy will provide an immediate death benefit of Rs. 1 crore and an income of Rs 40,000 per month, which will be raised by 10% every year up to the 10th year. Whereas, under the basic plan, a term insurance cover of Rs. 1 crore is available for a premium of Rs. 7,400. According to a research, the increased affordability has increased the average sum insured in online term insurance up to Rs. 70 lac. Completion in the market and absence of distribution costs are the main reasons bringing down the price of online term insurance plans to a third of the similar plans sold through traditional agent channel. The monthly income option of the plan provides beneficiaries the benefit of income tax. Given today's fixed income returns, an investment of Rs 40 lakh would end up attracting a large tax liability. However, the monthly payouts under Max Life's policy are not subject to tax because they form part of the death benefit paid out by the insurance company. “If something were to happen to the breadwinner and this sort of money were to come in hand, you are either unprepared to manage the money or there are some people who want to take advantage of the situation," said Director and Chief Marketing Officer of Max Life Insurance, Anisha Motwani. Keeping this in mind, the company had considered a product where the entire amount is paid out as monthly income. However, policyholders look for a lump sum payment to their dependants as this provides a reassurance to them in any eventuality, she said, adding; we felt that the optimum level is to provide 50% of the policy in the form of monthly payments.